Posted on 17, August 2018 by EuropaWire PR Editors | This entry was posted in Education, Internet & Online, Investment, Science, Small Business, Technology, United Kingdom and tagged AI, data science, data_science, Digital Catapult, Dr Jeremy Silver, Dr Sebastian Vollmer, funding, hackathon, RESEARCH, scaleups, Startups, The Alan Turing Institute. Bookmark the permalink. LONDON, 17-Aug-2018 — /EuropaWire/ — The Alan Turing Institute and Digital Catapult are allies in the effort to make the UK the best place in the world for data science and AI research, collaboration and business. Today we announce a formal collaboration between the Turing and Digital Catapult, which will support start-ups and scale-ups headquartered or operational in London to develop their innovative ideas. Together the two institutions will provide support for nine separate start-up or scale-up companies to participate as challenge owners in any one of the Turing’s Data Study Groups held between December 2018 and March 2020. This collaboration will open new opportunities for eligible start-ups and scale-ups to work together with academic researchers on data-driven industry challenges. A Data Study Group is a five-day ‘collaborative hackathon’ which aims to find data science solutions to real-world problems. These week-long events allow organisations to work with the Institute in a unique setting. 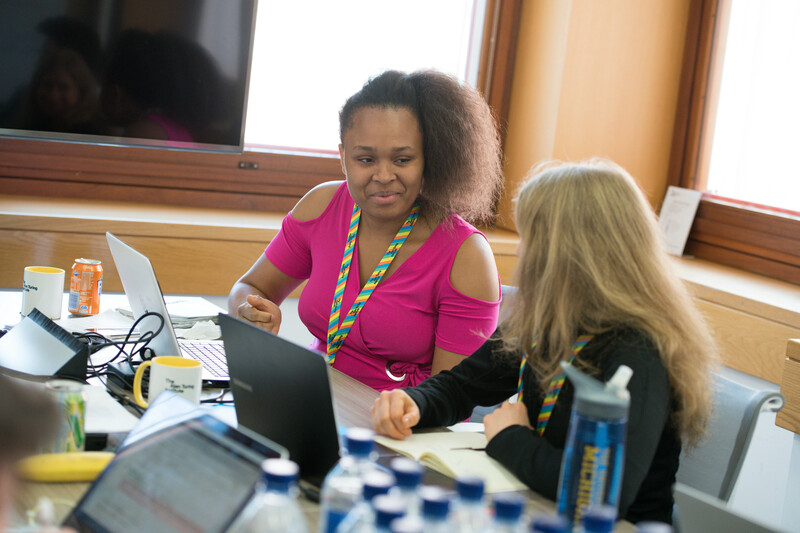 Data Study Groups engage talent from across the UK and further afield, providing access to a pool of researchers they may never otherwise have the opportunity to collaborate with. Previous Data Study Groups have led to wider and deeper collaborations stemming from opportunities spotted during these intensive weeks. This initiative is part of Digital Catapult’s Machine Intelligence Garage programme, commissioned as part of CAP-AI project, which is part-funded by the European Regional Development Fund. The programme objective is to help AI and machine learning businesses gain access to the technical expertise, computation power, knowledge and innovation they need to succeed, grow and realise the UK’s economic potential in this area. The project will enable AI start-ups and scale-ups to take part in innovation activities, working closely with industry, academia and other AI businesses. For application info see our page ‘Get involved as a Challenge Owner’. Find a full introduction to Data Study Groups here. See the following links for more information for Challenge Owners and participants. And see the Codecheck case study for an example of an SME’s participation in a Data Study Group. Machine Intelligence Garage is a programme designed to help companies drive machine learning and artificial intelligence (AI) development in the UK. The programme is delivered by Digital Catapult as part of a CAP-AI project and is part funded through the European Regional Development Fund. Machine Intelligence Garage was created to accelerate the growth of UK AI companies, it focuses on building the capacity and capability of the UK AI ecosystem through access to computation power, an experimentation space, and activities looking at what ‘Responsible AI’ means in practice.